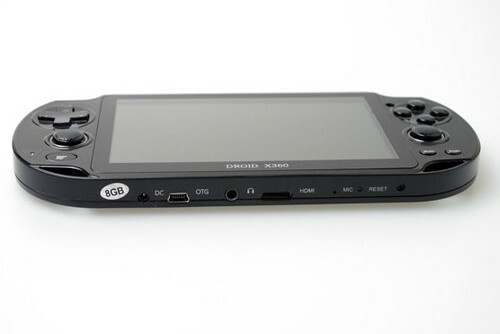 And it has one powerful feature that the original PS Vita doesn’t have. 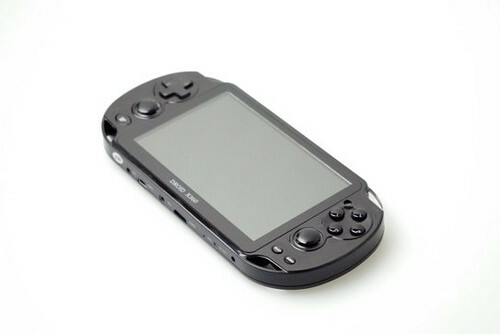 It has 9 different kinds of built-in emulators for the classic arcade games, Nintendo 64, Sony PlayStation, Game Boy Advance, Game boy Color, NES/FC, SNES, SEGA Mega Drive and SEGA Game Gear. Check out more photos and a hands-on video after the break! 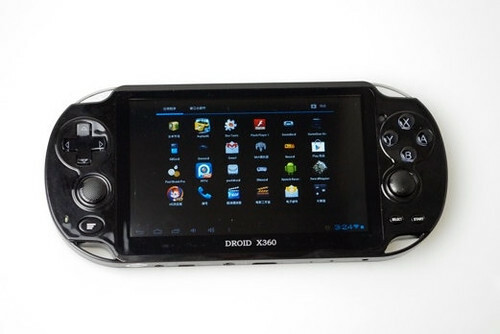 Apparently a Chinese company has released a new device called Droid X360 that looks an awful lot like the PS Vita. 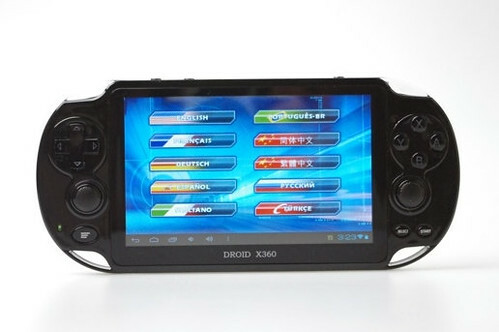 The Droid X360 comes with Android 4.0.4 installed, a 1.5GHz processor (not sure if it’s a dual core), 512MB of RAM, 8GB of onboard storage, a 5-inch capacitive touchscreen display (800 x 480), HDMI-out, a microSD slot (support up to 32GB), a mini USB port, 2800 mAh battery, a rear 2-megapixel camera and a front 0.3-megapixel shooter. 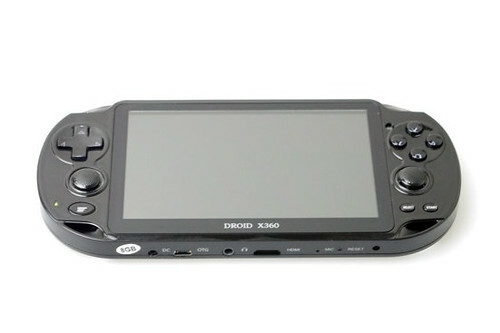 And it includes two analog sticks! 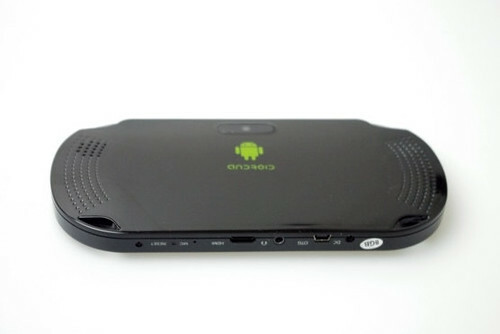 The Droid X360’s back features a Android robot logo, stereo speakers and a camera. 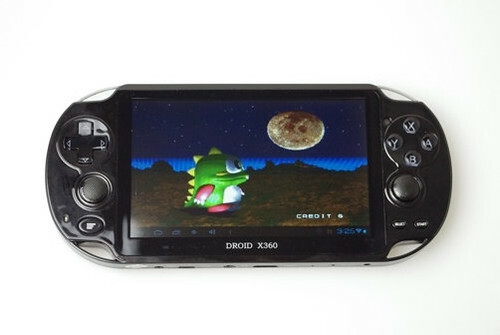 For those of you who are interested with this device, unfortunately, price is still an unknown at the moment. 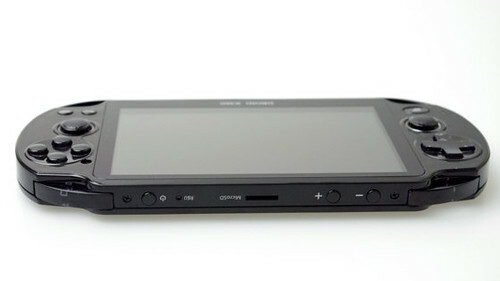 Next Second-gen Xiaomi Phone Leak, 720p Screen with Quad-core Chip for Only $300 ?